With the Blizzard of '17 bearing down, I saw on WINY that John M. Dean was one of many companies cancelling tomorrow's shifts. 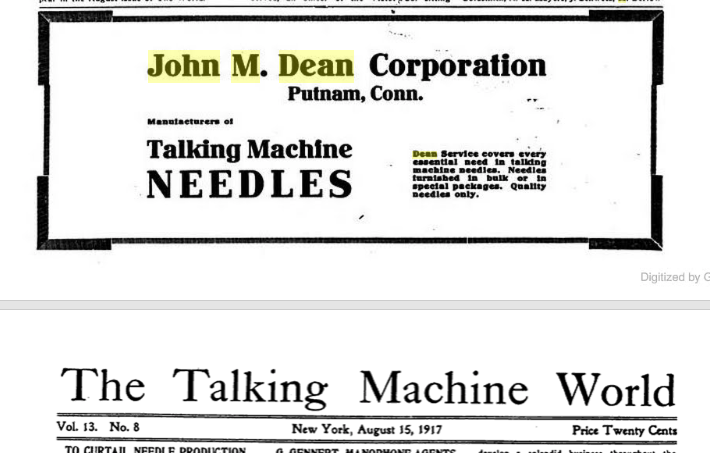 I didn't recognize the name, so I googled it -- they've been in business for over a century making needles and other sharp, pointy things. 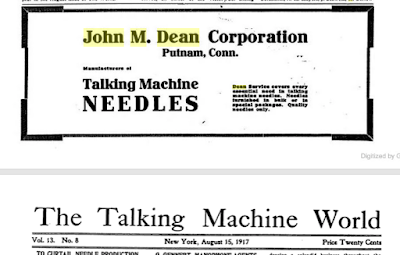 More Googling reveals they were an early maker of record needles, with a capacity of two million per day! I browsed down a bit from that, which brought me to a list of Columbia's best selling albums of that month in 1917...which included American Patrol. But it turns out it was originally written in 1885 (for piano) and turned into a march and symphony arrangements long before Glen Miller got to it! So yeah, a snowstorm took me down a rabbit hole of Googling to learn that one of my favorite World War II songs was written sixty years before World War II.